Combining a passion for science with a desire to make a difference, Richard built one of the world’s most successful contamination control companies, Shield Medicare, which enables hospitals and pharmaceutical companies across the world, to control potential contamination and improve product quality, keeping harmful bacteria at bay and improving quality of life. Richard graduated from Salford University with Honours in 1983 having studied Mechanical Engineering. He then moved on to King’s College London to conduct post graduate research into haemodynamics and vascular surgery. His engineering background proved invaluable in strategic thinking, process and product development and troubleshooting. Having grown Shield Medicare to market leader in Europe, Richard sold the business to Ecolab in 2006 an American company with a turnover of $4 billion. Taking all of the lessons from his experience growing Shield Medicare, Richard set up MEDSA Group which owns a portfolio of innovative and fast growing companies that operate in very different markets; healthcare, FMCG and the environment. What is common to these companies? Innovation is at their heart, based on a fundamental understanding of the customer. They know how to “sell” - defining, measuring and executing the sales cycle effectively. And Richard has created a culture of leadership throughout the businesses, where talented people are mobilised behind a clear vision. He sees his role as a teaching one, passing on his skills and knowledge so that people running the businesses are empowered and the day to day business decisions are good ones, allowing him to concentrate on the bigger picture. The result is fast growth and large profit margins. The companies in MEDSA Group have won numerous prestigious awards for business growth and innovation. 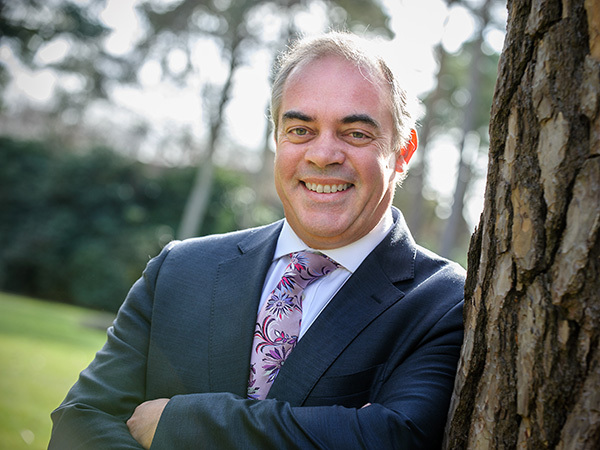 Richard also holds a number of directorships and acts as adviser for a diverse range of businesses both in the service and manufacturing sectors. Richard believes strongly in the value of high quality sales and marketing followed up with exceptional customer service and his passion has helped many organisations develop enviable customer lists. In 2012, Richard was awarded the Cranfield University Alumnus Entrepreneur of the year. Richard is a frequent speaker at business schools in the UK and Ireland, sharing his experience and insights with MBA’s and other aspiring business leaders.